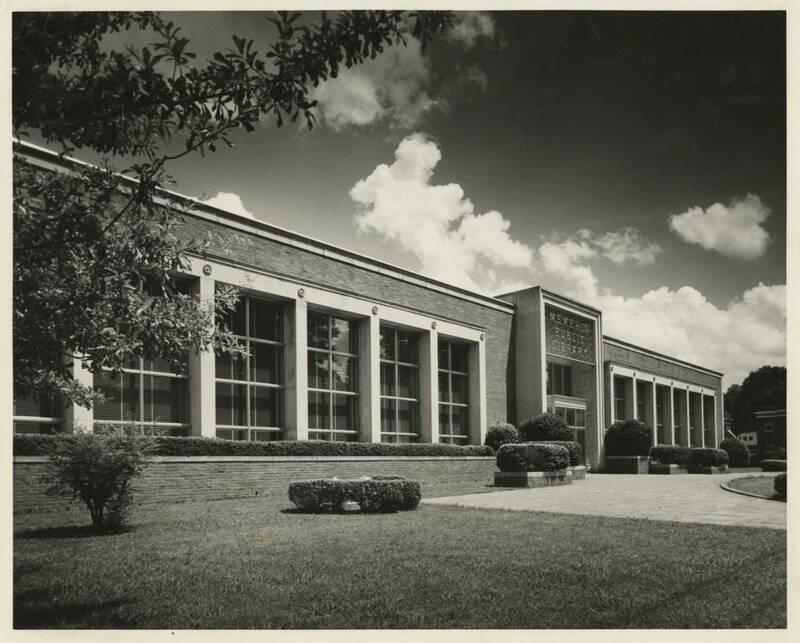 To this day, many long-time Midtowners and Central Gardens residents will talk wistfully about the passing of the Main branch of the Memphis Public Library, which held the hearts and minds of Memphians on the northeast corner of Peabody and McLean for generations, from 1955 to 2001. Others, though lamenting its new millennium move a couple of miles east, knew that the library had outgrown its spot in the neighborhood. After all, this was no local neighborhood branch. As the city’s main library, it housed all the amenities and resources one would expect from the main branch - meeting rooms, children’s facilities, multimedia rooms, floors and floors of millions of books and media storage, files upon files of city historical archives, research facilities, a bookstore - while also meeting large scale parking needs. 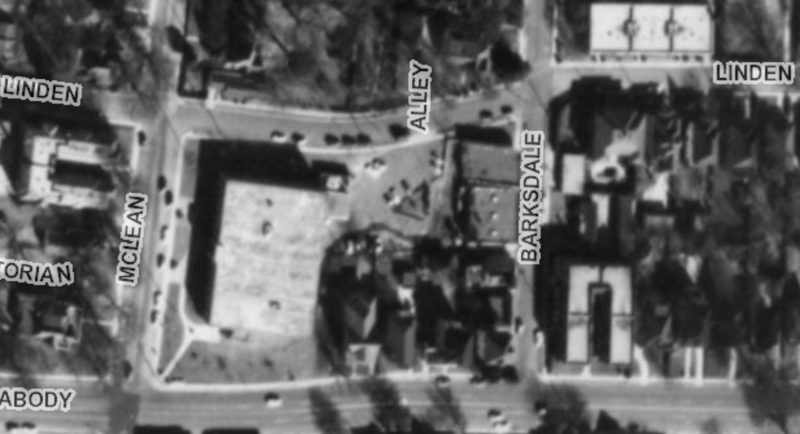 Below are the 1959 and 1981 aerials. What is now a source of trivia in the history of Central Gardens was at the time a test of the neighborhood association’s revised architectural guidelines and their influence on city planning and land use in Midtown. With the city’s decision to move the library and vacant this important corner, it put the city and the neighborhood at a crossroads with how to repurpose the land: Go commercial? Or return the land to residential use? And how? When the library’s construction began in the early 1950s, Downtown Memphis had yet to show signs of the decades-long decline that would follow, but like much of the country the city’s migration patterns were moving toward the suburbs in pursuit of the American Dream, when neighborhoods like High Point Terrace, Buntyn and Colonial Acres east of East Parkway were becoming the new, ideal places to raise families, and Memphis’ eastern borders were being expanded along the paths of a proposed Interstate 240. Our Midtown - which until the ‘50s was still considered “East” Memphis - was becoming a kind of go-between that connected Downtown with “new” East Memphis neighborhoods. 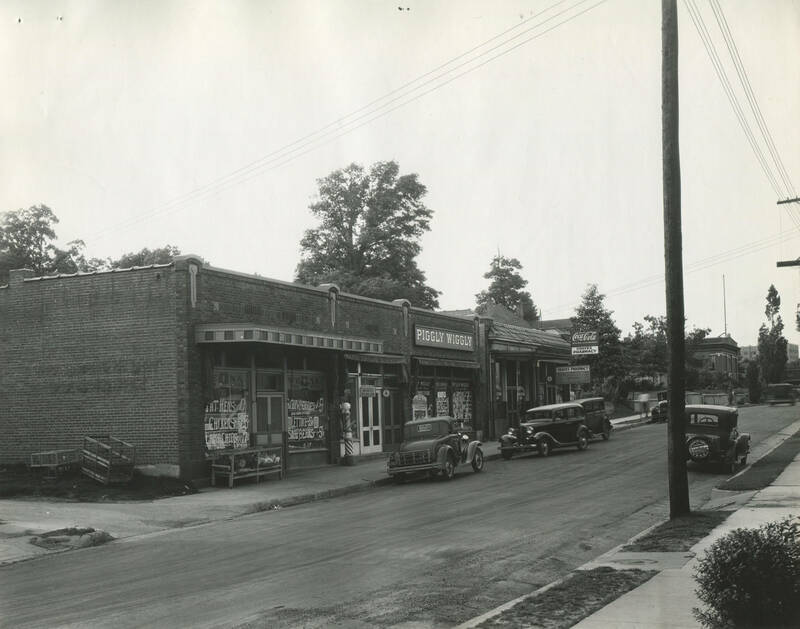 Union Avenue, long a thoroughfare of stately homes mixed with small, family-owned businesses, was later expanded to accommodate commuter traffic east and west before the I-240 was built to handle the load. Midtown and Central Gardens felt the inevitable effects. In the 1890s the land of this northeast corner belonged to the Reverend W.H. Barksdale. 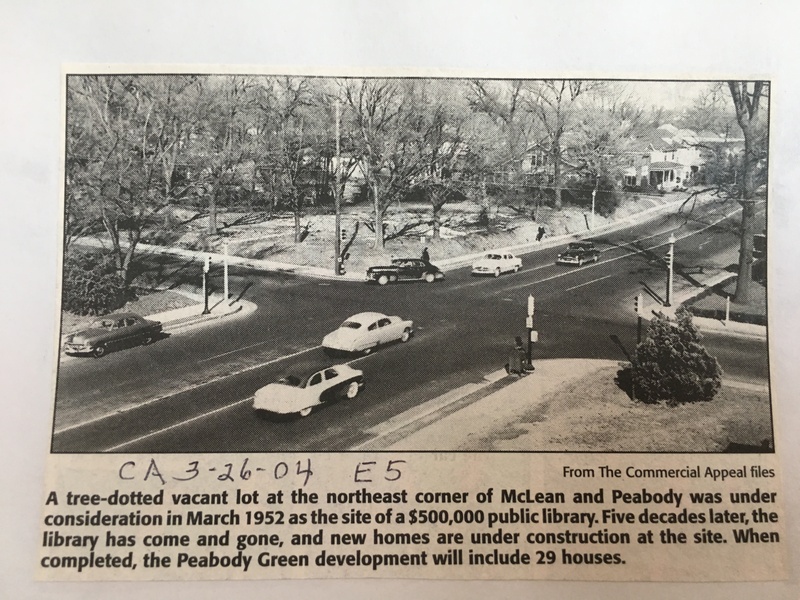 Peabody in those years was called Appeal Avenue, and some maps referred to this subdivision as “Appeal Land” (a short-lived nickname applied to the area by land owners who also shared ownership of the old Memphis Appeal newspaper, which later merged with the local Memphis Commercial). Writer Perre Magness, in a 1990 Commercial Appeal article, described how this corner at McLean and Peabody was the original home of Idlewild Presbyterian Church, built in 1890, “where a white frame church was erected for the new congregation. (…) The new church grew rapidly, and a larger lot at the southwest corner of McLean and Union was purchased. On June 22, 1895, the town witnessed an unusual sight. The frame church building was placed on rolling devices and rolled down the street to its new home” (where the empty Country Hearth Inn & Suites is located. The “new” Gothic structure for the Idlewild Presbyterian Church was built in 1926 at its present location on Union across from Kroger). 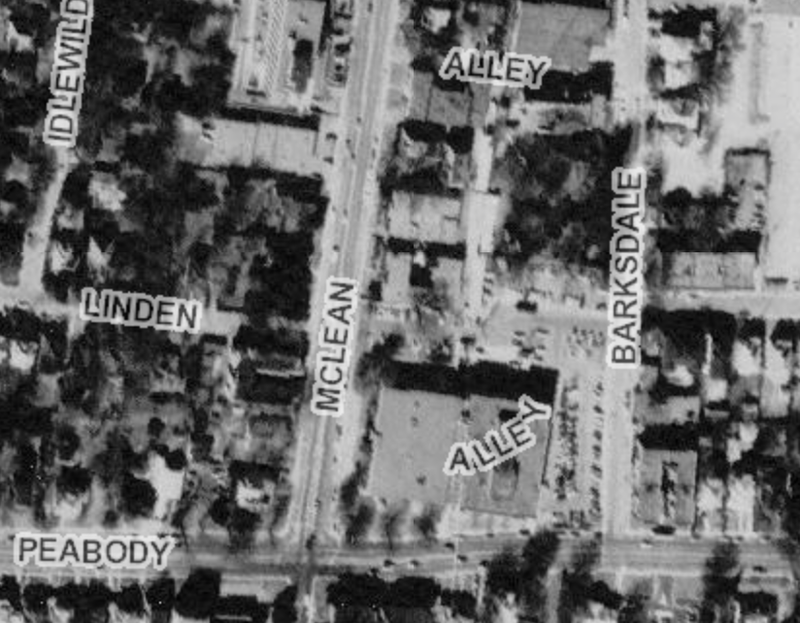 In the years before the library, Linden Ave did not end at McLean and pick up again at Barksdale; rather, it ran through the Barksdale land area, in what was more of a wooded or gravel path versus a full road. 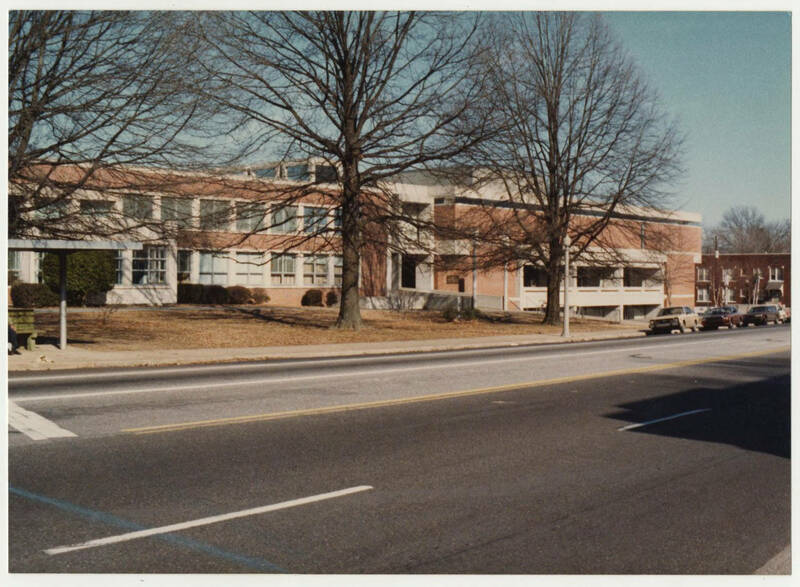 And the stretch of South McLean from Peabody to Union during these years was still a two-lane road (it would be widened at this corner with the construction of the library). Memphis had outgrown and technology had outpaced the now sixty-year-old and historic Cossitt Library downtown at Front and Monroe. With the opening of the new library, it was announced that Cossitt would undergo extensive renovations to save its brick facade, construct a modern addition facing Front St., and transition the Downtown institution into a reference and research unit of the city’s library system. It would also, as announced, retain select volumes of books for local circulation. Like the Cossitt Library, eventually, the Peabody branch found itself having to keep pace with a growing and changing Memphis. In 1971 the central library expanded, taking over the entire block bordered by McLean, Peabody, and Barksdale. 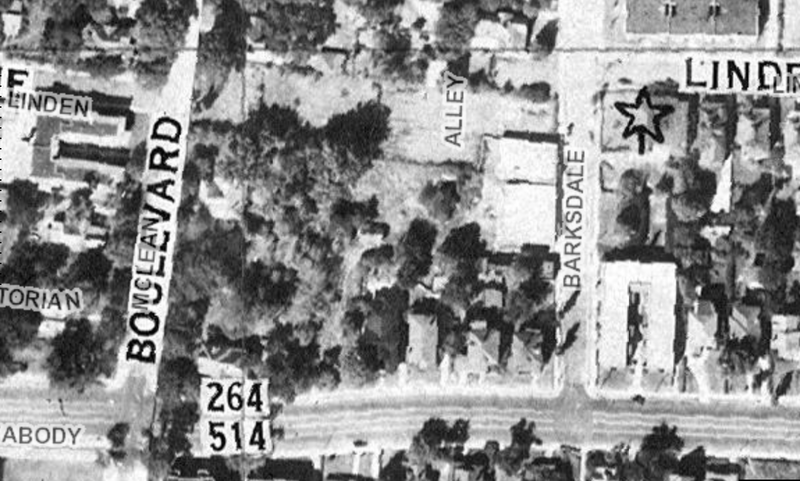 Gone were the old neighborhood establishments along Barksdale: the pharmacy, Piggly Wiggly #42, and another four houses original to the neighborhood. In their places were the expanded library building - which doubled in size - and more surface parking. 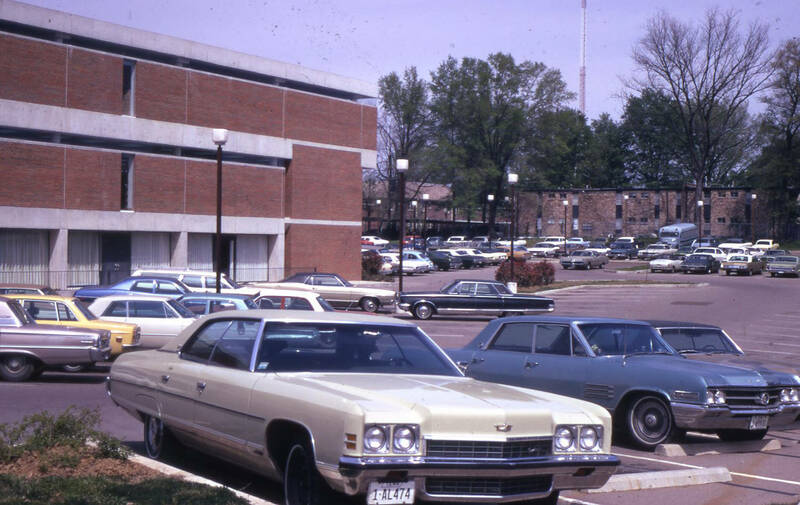 Another expansion in 1980 added more parking for library employees. 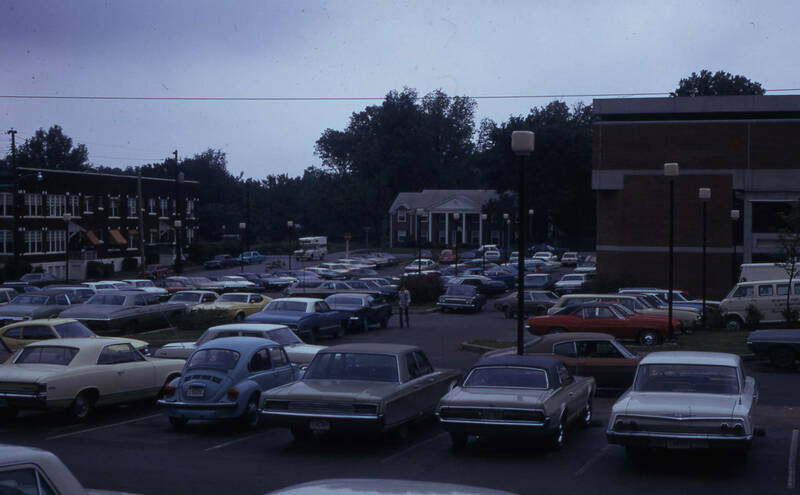 But as early as the late 1980s efforts were underway by library officials looking into yet more expansion and changes, culminating in an independent 1992 study which concluded that the Peabody branch was already too small, had too few parking spaces, lacked elevators, and had no room to expand. While it was clear that the Peabody branch would be unable to meet Memphis’ growing library needs into the 21st Century, the library’s move raised the inevitable questions about what to do with the library building and site at Peabody and McLean. Through the late 1990s, proposals and rumors swirled around the fate of the site. 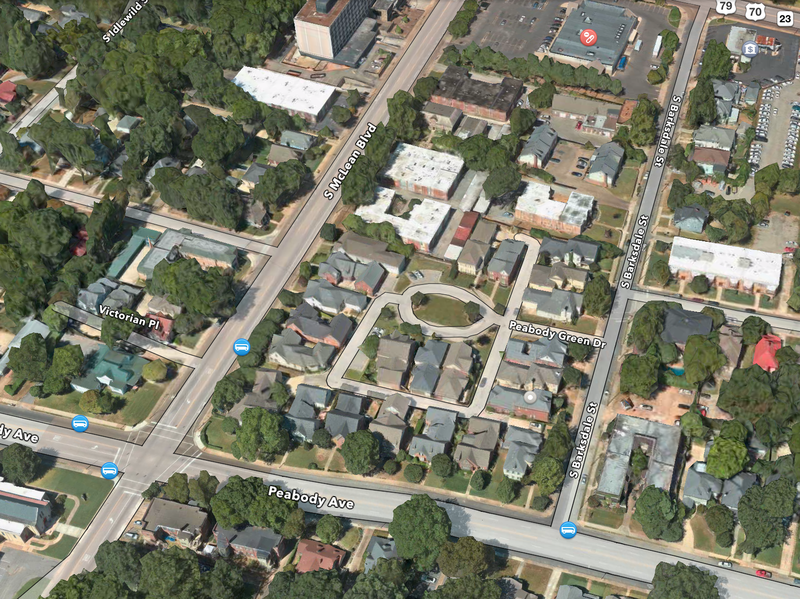 Would city planning zone the property for commercial or for neighborhood business? Would the city advocate for the building of a new Midtown fire station on the corner? Or would the site be returned to residential zoning? Our Central Gardens Association was obviously very interested in the fate of the building and property. The library property at Peabody and McLean was fixed in one of the main hubs of the Central Gardens historic district. Having become a preservation district under Memphis Landmarks in 1992, anything done with the building - demolition, re-use or otherwise - would require review by the Memphis Landmarks Commission as well as the Central Gardens landmarks committee. In addition, for the half-dozen years before the new millennium and through Central Gardens Association presidents from 1994 to 2001, what to do about the library site was a top concern year after year. However, as the library move date neared, bringing homes back to the entire site became the most viable and favored option. Much like the coalitions of today that have mobilized on behalf of saving Overton Park’s Greensward, groups of concerned citizens met frequently from 1996 to 2001. This “task force” was made of up of a series of city officials and neighborhood representatives, and after years of debates they concluded the best use of the property was to return it to residential use; more specifically, a single-family residential development compatible with the surrounding neighborhood. The plan to relocate the main library and build new homes on the site came amid changes to Central Gardens’ architectural guidelines, changes that had begun in 1995. The old guidelines also did not address a key concern that arose with the library’s move: new construction. Between 2004 and 2006 most (but not all) of the remaining homes of the development along Peabody near the corner at McLean were finished. They varied in styles, including English Tudor and French. Not every house design fit exactly within the character and architectural era of Central Gardens, but most blended right in. Not every Midtown and Central Gardens resident was happy with the new construction, and many lamented the loss of a library that was a short walk away. But all things considered, overall reaction to homes returning to the area was positive. Growing up in Midtown, developer Shepherd commented on all the time he spent at the old library - the site’s historical significance did not escape him. The last of the homes was completed in 2008. A smallish brick, chateau-style house, it was sandwiched between numbers 1844 and 1856, at 1850 Peabody. 1850 Peabody: ironically, the same address as the old Peabody branch library. Now there’s a trivia question.